There are 12 reviews of Vetiverus. This is a dirty vetiver, akin to Encre Noir but more musky and earthy, plus what I can only assume is a heavy-handed dose of nagarmotha. I have worked with nagarmotha before and, in my opinion, it is best used sparingly. Whatever is causing this scent to overpower the experience for me was clearly used too much for my taste, though fans of incredibly earthy vetivers will love this. The opening is reminiscent of birdseed to me, and I can't get past that. A hint of something spicy in the deep drydown is very pleasant, if incredibly faint. Eye-rollingly good opening with its labdanum, styrax, and vetiver. Irish bog on a winter's day. The vetiver isn't all that strong but, it's here. I get a kind of ocean beach at low tide note. Taxidermy note, like a dried up carcass. Nine Inch Nails songs playing in my head, while wearing this. Styrax and osmanthus play tricks on me here. Vetiverus is a treat - a keeper. I am quite charmed by this. The opening bouquets of Spiced Squash, that then transitions to a grassy canvas, almost hay-like. Whispers of Peppery Carnations provides an interest blending with the Osmanthus and touch of Labdanum suggesting a vague Leathery texture. It took me a while to understand the love here - but not a long while. I bought Vetiverus blind, although in the same purchase as a bottle of La Colonia by the same producer, which was not blind. Good for Oliver & Co that they have worthwhile sales from time to time; I managed to obtain these for about a third of the list price. The initial question was where Vetiverus was placed on the vetiver scale. It is not one of the dank, mysterious vetivers such as Encre Noire; but it surpasses even Guerlain in its freshness. In addition there is a strong floral influence from the osmanthus. There is the strong resinous note that we find in Resina from the same house, and some amber. This ensemble takes some getting used to. As with the other Olivers, longevity is excellent and this provides a good opportunity to get a proper idea of how the scent develops. 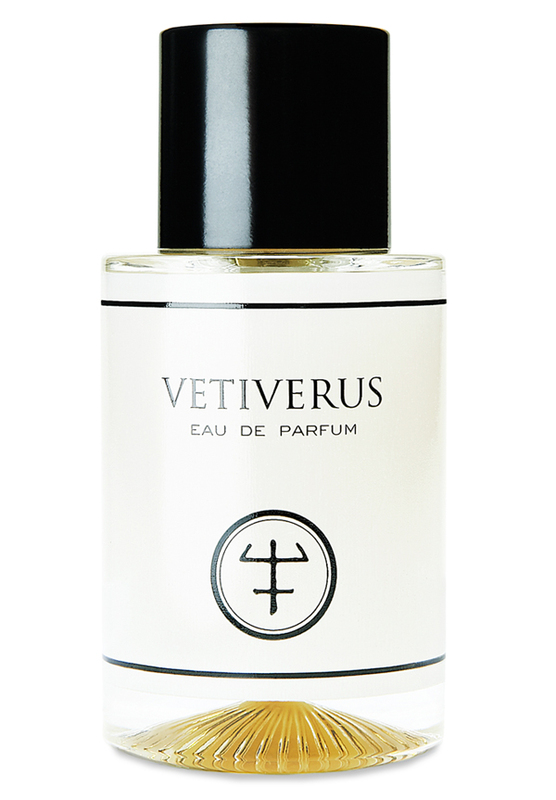 After some reflection, I think the success of Vetiverus, in terms of the fragrance construction, is that it manages to meld an extremely wild-fresh, almost minty and "freshly-cut" vetiver with a spicy oriental, "fleshy-flowered" accord (although osmanthus is obtained, as I understand it, from the blossom of a small bush). The result is something easily wearable by a man, although surely amenable to both/any/all genders, and coherent beyond all my attempts to describe it. Put it this way - if you marketed Vetiverus as "Vetiver de Guerlain au Fleur" you would get a good idea of what it is about, and it wouldn't, I think, be an unreasonable description. Rather than evoking the image of a gardener lighting up in rural France, Vetiverus suggests his Oriental counterpart cutting back some foliage on a bracing morning. Another Oliver win, then, this one extending my personal understanding of vetiver. There are no member images of Vetiverus yet. Why not be the first?